Gili Nanggu Island in Lombok, not in Bali. Attractions in Lombok not only Senggigi Beach and three Gili islands, Gili Trawangan, Gili Nemo, and Gili Air. 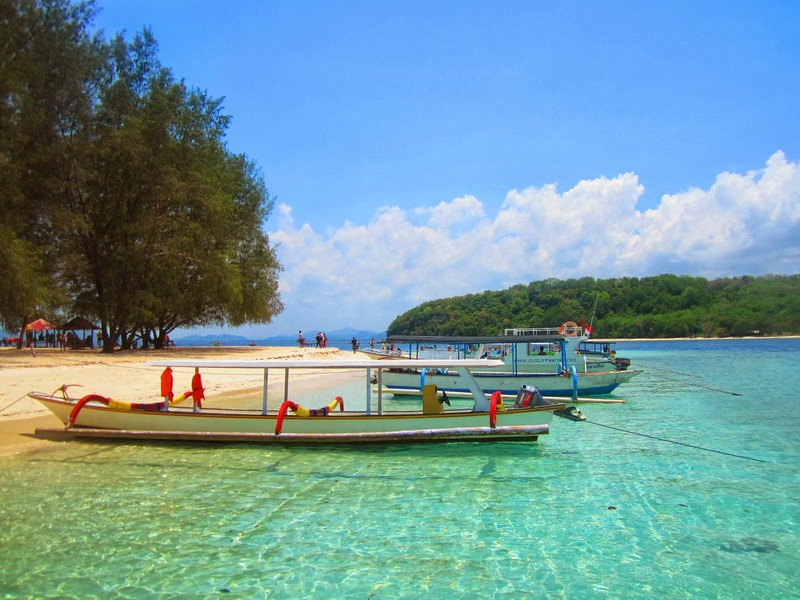 If you want a deserted beach and fun to swim, Gili Nanggu must be visited. Gili Nanggu Island located next to the West Lombok. The island has white sand beaches with calm waves. For those who can not swim, do not worry, because the waves were very calm sea makes beaches in Gili Nangu sanggat safe and comfortable. Because of the depth of the sea water at the beach is only about 100cm, you can simply enjoy the beautiful coral on the sea floor, and colorful fish while snorkeling. 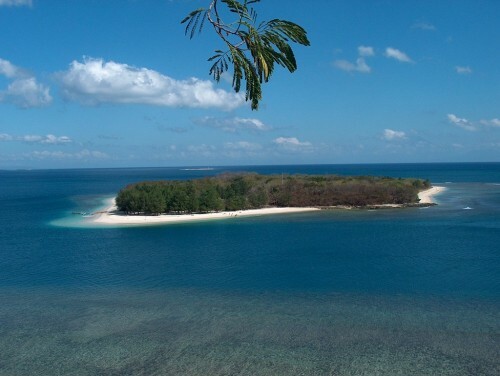 Gili Nanggu are in the Lombok Strait or on the west coast of the island of Lombok. Administratively, the island is located in the District of Sekotong, West Lombok regency. Gili Nanggu in Lombok, you can feed the fish with preparing the bread crumbs are put into plastic bottles. The fish of the sea around the coast very much, easy to find, can be seen just by snorkeling. To reach Gili Nanggu quite easy. From Mataram, tourists can go to Sheet Harbour which is about 27 km, with the vehicle, and then by boat or speedboat for 35 to 45 minutes. 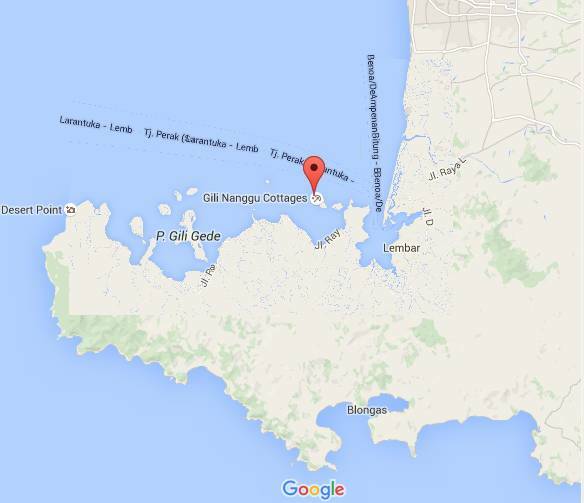 Access to the Gili Nanggu can be reached from the Port Leembar, Batuu Kijuk, and Medang. If departing from Leembar, it takes approximately 20 minutes by boat. Boats can be rented for Rp 300000 for a capacity of six people. The excess will be calculated Rp300000 for local tourists and Rp350000 for foreign tourists. With rents snorkeling equipment such as goggles, buoys, and frog legs Rp25000 per tool or Rp750000 per pack, you can enjoy the beauty of the underwater world Gili Nanggu all day. Quite affordable is not it. Interested in enjoying the beautiful of Gili Nanggu. This island has available modern accommodation facilities. In addition to having a variety of accommodation options, the resort is also equipped with various facilities, ranging from watersports rides, jogging track, diving or snorkeling equipment that can be used by all the tourists.